Backup all the content on your Phone with just one Click. Restore your data from Backup files. Wipe out data on your phone table completely to protect your privacy. 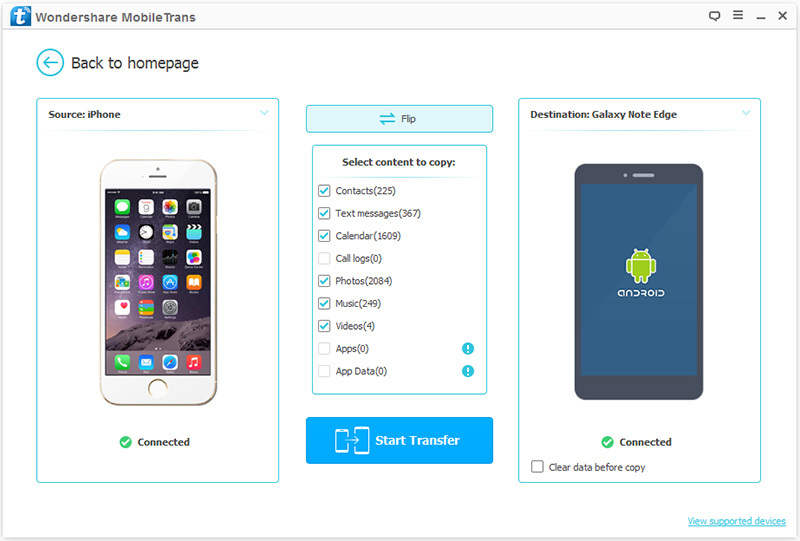 Wondershare MobileTrans lets you transfer data between different phones with one click, including iOS, Android, Symbian, and WinPhone. You can use it to transfer data between any of them. Next, let's check how to use MobileTrans - Phone to Phone Transfer in steps. 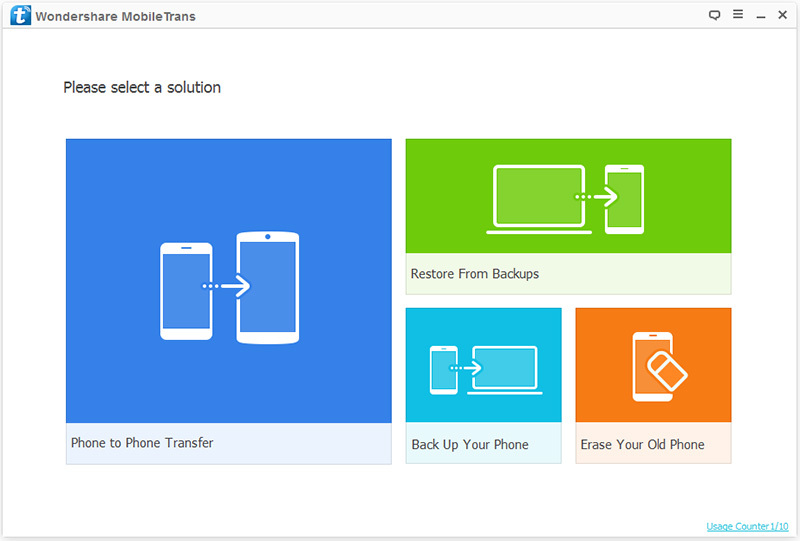 Open Wondershare MobileTrans, and click on "Phone to Phone Transfer". Then get both of your devices connected. Here let's take an iOS and an Android device as an example. Check the files you would like to transfer. Then click on "Start Transfer" to begin the process. For efficiency, don’t disconnect the devices until the process is complete.